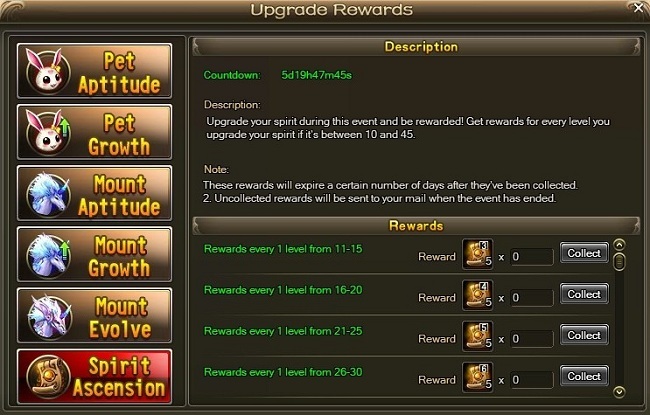 Description: From May 29th to June 4th, upgrade your spirit or the growth and aptitude of your pets or mounts for a chance to get special items that will make upgrades even easier. Click the icon for more details. Description: Spend unbound gold and get bonus gift packs containing valuable items, including Superior Purses, Roses, Artifact Upgrade Pills and more. Now’s a great time to improve your intimacy with your friends and spouse!